Septic tanks capture wastewater and treat it with anaerobic bacteria to make it safe to discharge. Anaerobic bacteria function in environments without oxygen, such as a septic tank. Waste material is separated into three components in the tank: liquids, solids or sludge that falls to the bottom of the tank, and grease and other scum that floats to the top. Septic tank warning signs let you know that your system needs attention. Regular maintenance and acting quickly when warning signs appear will help your system function effectively and safely. 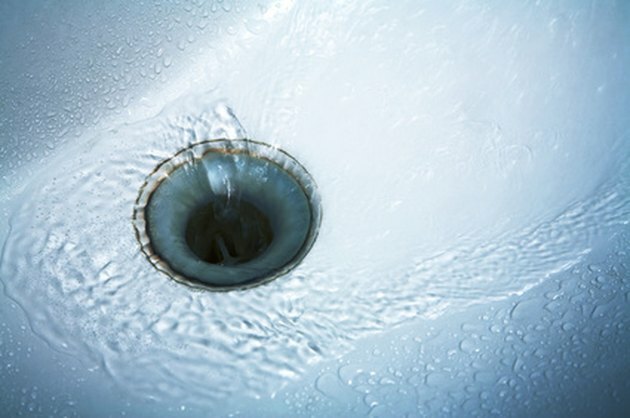 A clear warning sign that your septic tank needs maintenance is the presence of odors in the house or around the septic tank or excessive odors escaping through the waste pipe ventilation system, according to the University of Maryland Extension. Odors to worry about include the smell of raw sewage or rotten eggs, which is the smell of methane gas escaping from your septic system. If you notice wet areas around your septic tank or in the area of your drainage lines, your septic tank might be having trouble, according to the Massachusetts Department of Environmental Quality. The presence of healthy, lushly growing plants around your septic tank or along the route of your drainage lines indicates wet areas, as does a spongy or damp feel to the ground. Excess moisture might mean that your tank is full or that your drainage pipes are damaged. The Douglas County, Ill., Health Department notes that the growth of green algae or the presence of a dark slime near your septic tank or drainage lines can indicate that your septic tank is full or that your drainage lines are broken or backing up. Slow-draining sinks, tubs and toilets are a warning sign that your septic tank is nearing capacity or that your drainage lines are damaged. Another warning sign is a gurgling or burping sound coming from your drains. This sound indicates that wastewater is not flowing freely. If raw sewage or wastewater backs up through your pipes and into your house, your septic tank may be blocked or full, or your drainage lines are blocked or damaged. Another septic tank warning sign is the presence of bacteria in well water, as indicated by a water quality test, according to the Idaho Department of Environmental Quality. A full septic tank or broken drainage lines may allow unprocessed waste to flow into the soil and into groundwater, making it unsafe to drink.